I don’t know where this quote is from, my cousin Barb sent it to me in an email yesterday but I loved it immediately. I love and I mean LOVE all holidays, but nothing brings more cheer than halloween. My train of thought is that once it starts getting cooler its sad… summer is no longer around and thats hard to be happy about – but then ole Hallows eve comes in and brings joy where depression was starting to set in! This weekend we are celebrating our friends birthday with a fondue-ween party! What could be better than halloween cheer and fondue?! 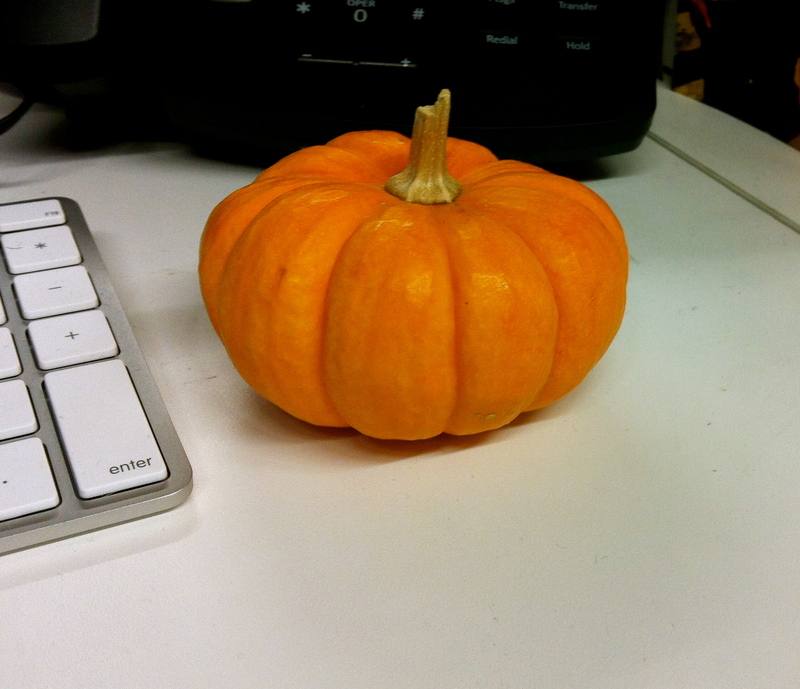 This little Baby Pumpkin on my desk at work brings a smile to my face everyday!